The biggest problem/complaint about alarm systems is the false alarms. Almost 85% of alarm triggers are false alarms. There is now a better solution. The big news is that we’re now installing the new Risco Agility system and Lightsys2 system. The Agility system has the snapshot camera built into the detector, so when the alarm triggers, it takes a snapshot of the room and sends this to the alarm company. They can see what triggered the alarm and respond accordingly. This system also has the option of self-monitoring, where the snapshot can be sent to your smartphone. The system is wireless so it can be retrofitted much more easily than a wired system and you can add wireless cameras and wireless smoke detectors to it plus a range of other accessories. The best part is that the starter kit comes with 2 camera detectors, base, siren & keypad – all wireless and linked to your internet – from only $1,945 installed (with monitoring for a $1 a day). 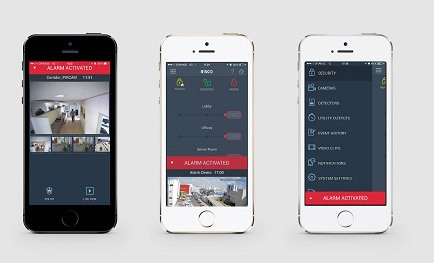 The Lightsys2 system does everything the old wired alarms used to do only better, having wired and wireless components and with an excellent remote control app that makes controlling the alarm so simple from anywhere – the way we always felt it should have been! We have full technical support set-up for the Sunshine Coast and the stock is available. We are rolling this out now and are very excited about how well this product has been received so far. We also have a display system set up at the office so come and check it out. This is definitely the way of the future in Alarm Systems!